For long-term storage, find a cool but not cold spot in your home with good air circulation. Check them often, and immediately remove any that start to look soft or subpar. Winter squash are a good source of Vitamin E (Alpha Tocopherol), Thiamin, Niacin, Vitamin B6, Folate, Calcium and Magnesium, and a very good source of Vitamin A, Vitamin C, Potassium and Manganese. 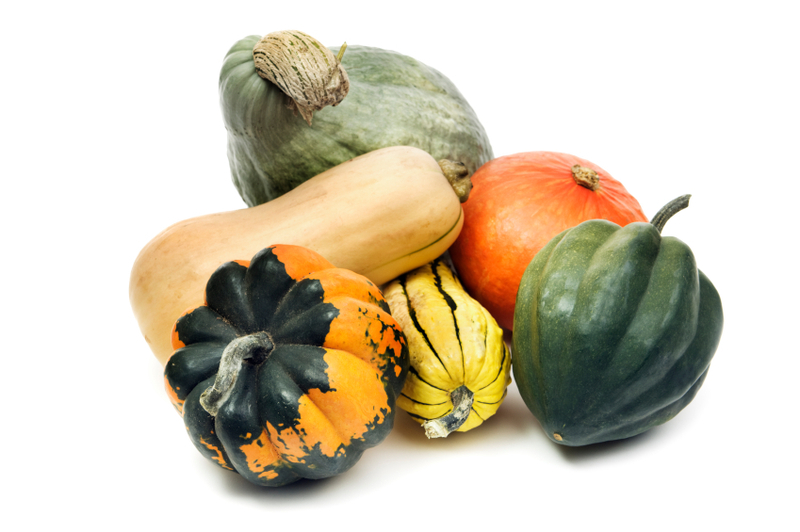 Winter squash types take longer to mature, have thick rinds that generally need to be peeled, are picked when completely mature and can be stored for several months. Sioux Indians would cut pumpkins into strips, dry them, and weave them into mats for sitting and sleeping.